This is the bodice for my Yvaine costume. The front panel is some kind a silky material. 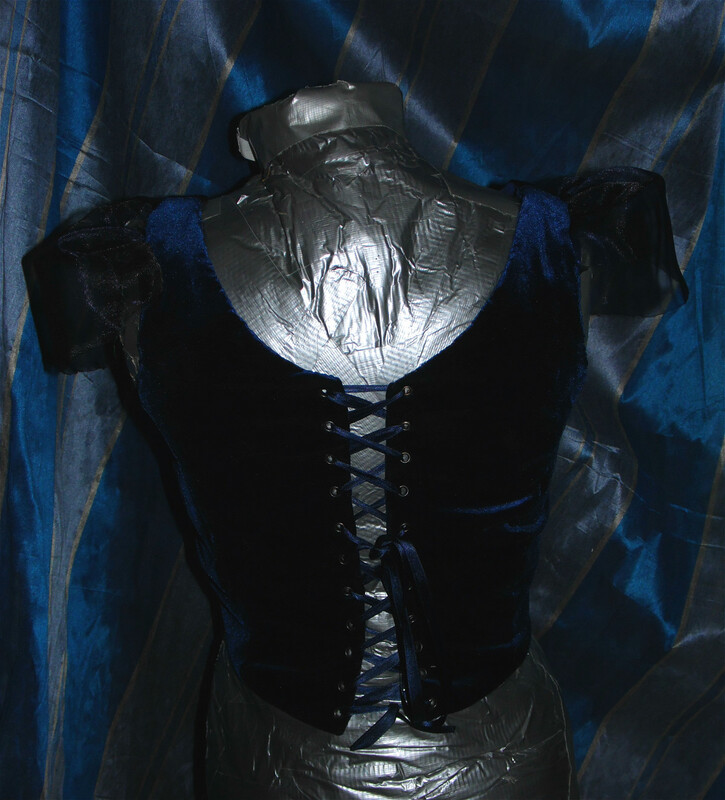 THe velvet is actually stretch velvet heat-and-bonded to chintz. The sleeves are organza. 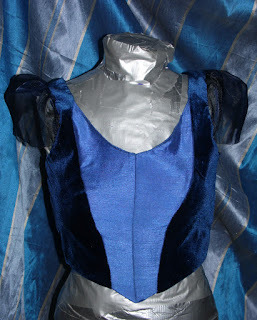 I drafted the bodice by pinning pieces of cloth on the dress form until I got the desired shape. I got some eyelets from ebay and added them. Unfortunately a lot of them split, but minimally. The dress form is a little large, so the lace don't close fully.